Vanhankaupunginlahti is a bay located at the mouth of the river Vantaanjoki. The area’s land masses are constantly rising due to post-glacial rebound and sediments carried by the river, as a result of which the naturally shallow bay is in the process of slowly filling in. Over the centuries, the shallow waters have turned into a wetland area characterised by extensive reed beds and grazed coastal meadows. 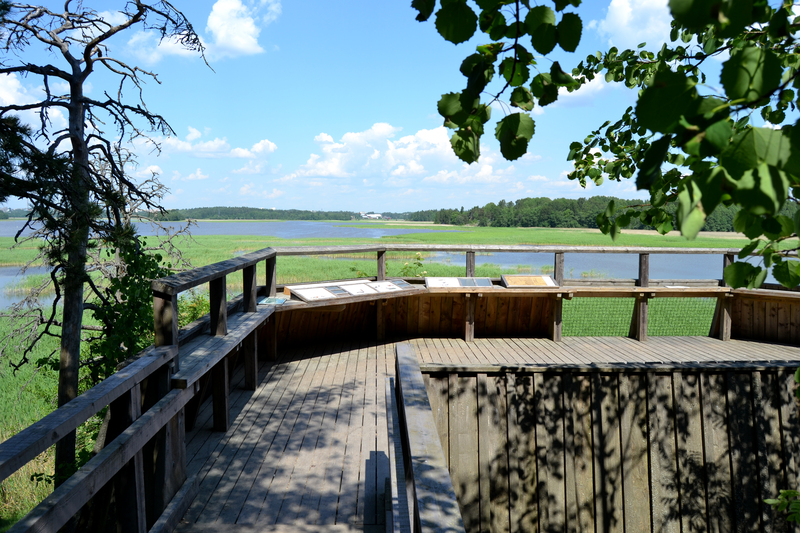 The wetlands of Vanhankaupunginlahti have been a well-known birdlife paradise for at least a few hundred years. The area is an internationally valuable bird wetland, which serves as both a staging ground during migrations and as a nesting ground. A total of 300 different species of birds have been sighted in the area, while the number of annually nesting species is approximately 125. The area’s suitability for various bird species has also been further improved as a result of the management measures conducted in recent decades. The shores of Vanhankaupunginlahti are dotted by different types of forests, which have been maintained as recreational areas for over three decades. The maintenance measures have remained relatively hands-off in many areas, as a result of which many areas have begun to display characteristics associated with natural forests, such as trees of many different ages and a wide variety of different tree species. Some of the forests contain large amounts of decaying wood, and surveys conducted in these areas have identified record-breaking numbers of various wood-decaying fungi. On the western side of Vanhankaupunginlahti are the fields of the Viikki research farm maintained by the University of Helsinki, which further add to the number of different habitats in the area, diversifying the range of bird species in particular. The farm area features several preserved fields shaped by traditional farming methods, which are home to a number of valuable plant species. On the western shore of the bay is the Viikki arboretum, where you can see various species of tree found in the northern hemisphere or simply roam and relax.